This is one of my favorite things to make on the grill. So I decided to do a quick vidcast of the process. I am currently unable to upload the video to the post so here is a link. Chipotle is a wonderful flavor. Hopefully one of these days we can grill together! Loved the video man. Left my mouth watering. @Vin – anytime man… I am sure we could hook up some serious grilling madness. Love the Beer Selection with the burger Palo Santo is one of my all time favorites. Only thing I would change is the mustard, maybe a sweet honey mustard to balance out all that heat and saltiness would be nice. 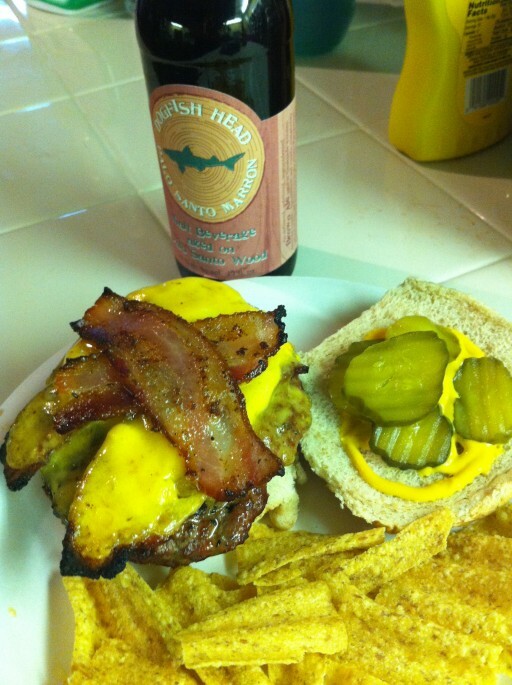 But like I said in another post … anything with bacon is awesome.